In our and psychosocial intervention research center, we are developing regional researches, primarily using qualitative methodology thematic content analysis with the software QSR – NVivo 8. In addition, the director of the Center, along with a researcher at the University of Salamanca, are developing a manual on the use of the the software QSR – NVivo 8, to be published in Spain, Brazil and Chile. Also, I conduct courses on qualitative methods and conventions including presentation of research findings of studies using this methodology. Besides, I guide undergraduate thesis and give Elective Training classes in the program of Psychology on qualitative methodology in community intervention. 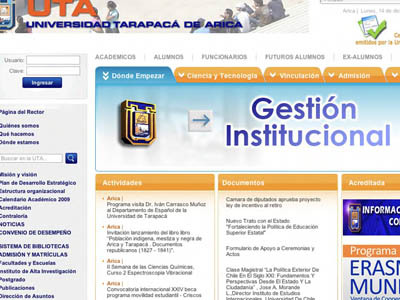 Finally, we performed post-graduate level courses in the master’s of Applied Social Sciences at the University of Tarapaca, and the master’s program on applied research methodologies on health and social science to be conducted in 2010 at the University of Salamanca. 1) “Thematic content analysis using the software QSR-Nvivo8” Intermediate. 2) 2nd International Congress on Applied Social Sciences. Science and Reality.